Upon arrival at a favorite restaurant, the waiter automatically delivers a shaker to my table without my having to ask for it. His sorry look is obvious to me, but I don’t care. It’s with me always. I travel with a tiny bottle of kosher salt in my purse (not many people know about this, nor can they believe it until the day I pop it out. It’s always an unexpected surprise; one that draws looks of disbelief in my madness…what kind of nut would carry salt around with them? How desperate is that? Yes, I’m that desperate). My friends pity me as they watch in tortured disbelief at the power this rock has over me. And I don’t care. I attend a dinner at any friend’s house; if they don’t know my obsession, they’ll know about it soon. If the salt isn’t already on the table waiting for me, then I start asking where to find it in their kitchen. There are times when I have the absolute audacity to rummage through their cabinets until I find the sacred element; my heart’s desire. I breathe a sigh of relief when I find it. SALT. It doesn’t really matter; I’ve always got my little stash with me so I’m not worried about getting through a laboriously dull meal without it when it’s no where to be found. Lucky for me, I have low-blood pressure. My doctor continues to warn me. “Once I see your pressure rising, we’re going to have to address this salt problem of yours.” Well, personally, I believe that your body craves certain nutrients. For me, it’s salt. Salt is an essential nutrient in life that is required for good health. Some of us need to monitor it, and some of us don’t. Regardless, we need it in our diets. I’m not talking about sodium-laden, processed, overly-salted food substances that are trying to pass themselves off as edible food. Certain fast-food joints and junk food snacks–which will remain unnamed–specialize in substituting salt for flavor and that’s when things get unhealthy. I’m talking about plain-old SALT, and the proper use thereof. The most sought after and used mineral on the planet for as long as history has been recorded. *“About 4,700 years ago—there was published in China the Peng-Tzao-Kan-Mu, probably the earliest known treatise on pharmacology. A major portion of this writing was devoted to a discussion of more than 40 kinds of salt, including descriptions of two methods of extracting salt and putting it in usable form that are amazingly similar to processes used today. Nomads spreading westward were known to carry salt (now I know where I get this habit from). A far-flung trade in ancient Greece involving exchange of salt for slaves gave rise to the expression, “not worth his salt”. Covenants in both the Old and New Testaments were often sealed with salt: the origin of the word “salvation.” In the Catholic Church, salt is or has been used in a variety of purifying rituals. In fact, until Vatican II, a small taste of salt was placed on a baby’s lip at his or her baptism. Jesus called his disciples “the Salt of the Earth.” In Leonardo DaVinci’s famous painting, “The Last Supper,” Judas Escariot has just spilled a bowl of salt – a portent of evil and bad luck. To this day, the tradition endures that someone who spills salt should throw a pinch over his left shoulder to ward off any devils that may be lurking behind. 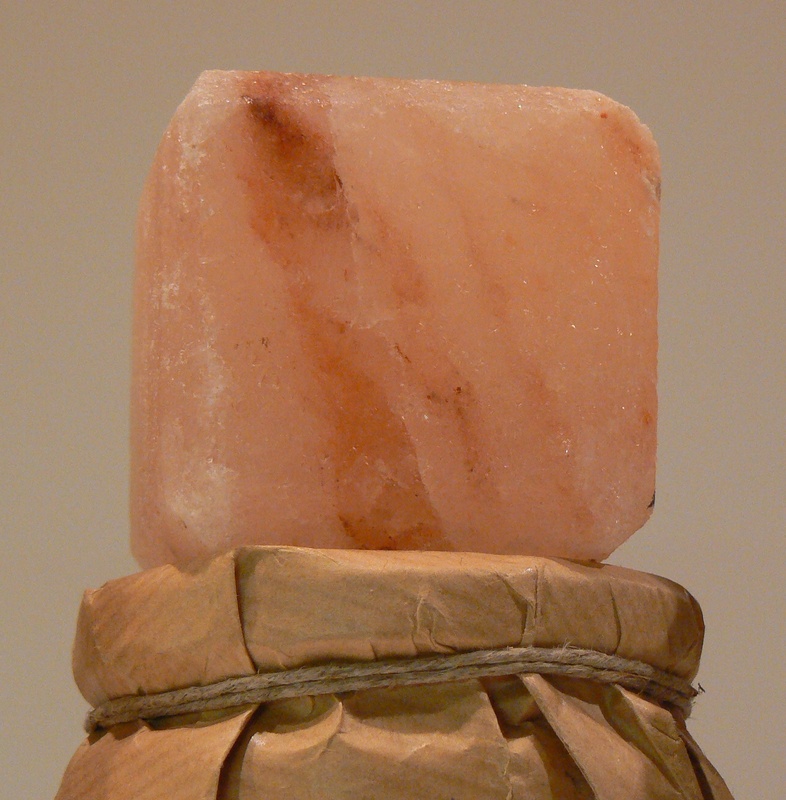 In Buddhist tradition, salt repels evil spirits. That’s why it’s customary to throw salt over your shoulder before entering your house after a funeral: it scares off any evil spirits that may be clinging to your back. If there were 40 kinds of salt available 4,700 years ago, then there must be about 400 + salts (including flavored salts) available today. I’ve come across some beautiful salts that I’ve paid ridiculous amounts of money for. Himalayan pink salt, Hawaiian black lava salt, kosher salt, French gray sea salt, Fleur de Sel, and don’t forget your every-day table salt. Yes, Diamond Crystal, for example. I have to tell you a story about Diamond Crystal salt that I still remember from my college days. I was taking a consumer marketing course and to this day I still remember one of the students insisting that he could identify in blind taste tests which salt was Diamond Crystal brand. As remarkable as it sounds, he was able to identify this particular brand from several others. We even started blindfolding him and, still, he was able to tell the difference. “How?” I asked him…I needed to know. He told me that Diamond Crystal had a particular texture and clean taste that the others simply didn’t. I found this remarkable. 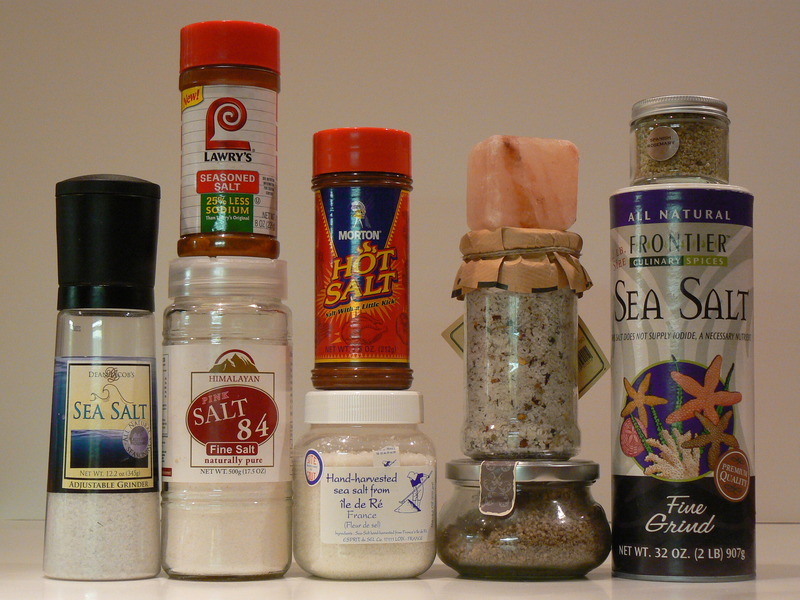 I can go on to mention the alternate types of salt, for example, bacon salt, hot salt, oak-smoked chardonnay salt, to mention a few…and I love them all!!! The simple fact remains that you don’t have to be a chef to know that the most important flavor enhancer in any kitchen today and ever, is SALT. And I love every grain of it! *Information borrowed from SaltWorks™, America’s Sea Salt Company. Next Next post: Grain, Grain, (Don’t) Go Away!! !